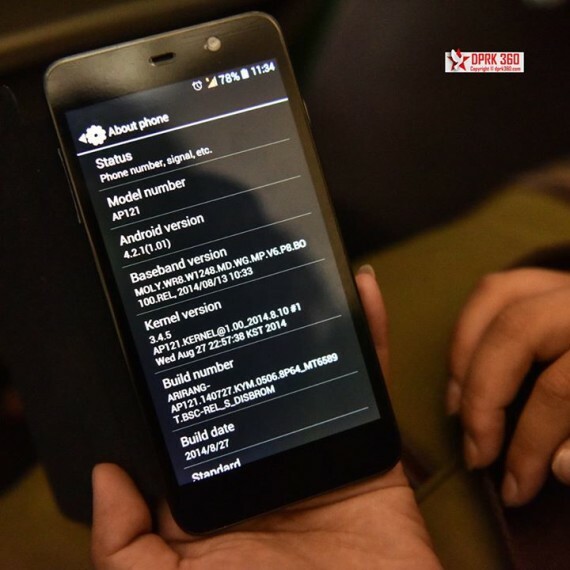 North Korea’s Arirang smartphone has been upgraded. Recent photos of one of the phones show a new model that features an updated version of Google’s Android operating system. The phone was spotted by Aram Pan, a Singapore-based photographer who has made several trips to North Korea. He first posted them on his DPRK 360 Facebook page. The Arirang smartphone first received publicity in August 2013 when the state news agency reported on a visit by Kim Jong Un to a cellphone factory. The “May 11 Factory” reportedly produced the phone, but it was later identified as based on the U1201 produced by China’s Uniscope Communication. Pan’s photos of the Arirang handset used by his tour guide show a new model but, like the last model, the phone doesn’t appear to be made in North Korea. The phone is also running an updated version of Google’s Android operating system. Version 4.2.1 is a variant of “Jelly Bean,” which first debuted in 2012. The last phone ran version 4.0.4, “Ice Cream Sandwich,” that came out in 2011. And to confirm its recent status, the “build date” of the operating system is listed as August 27, 2014. This is the ID number that all cellular networks transmit. In this case, 46706 is used by the network Koryolink offers North Korean citizens. On it, users can call other local numbers and access the internal intranet. 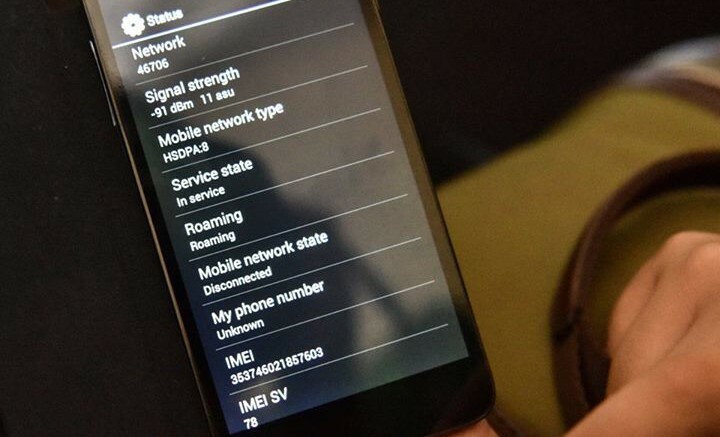 A second network, 46705, is used by foreigners and allows international calling and Internet access, but not the ability to call local numbers. 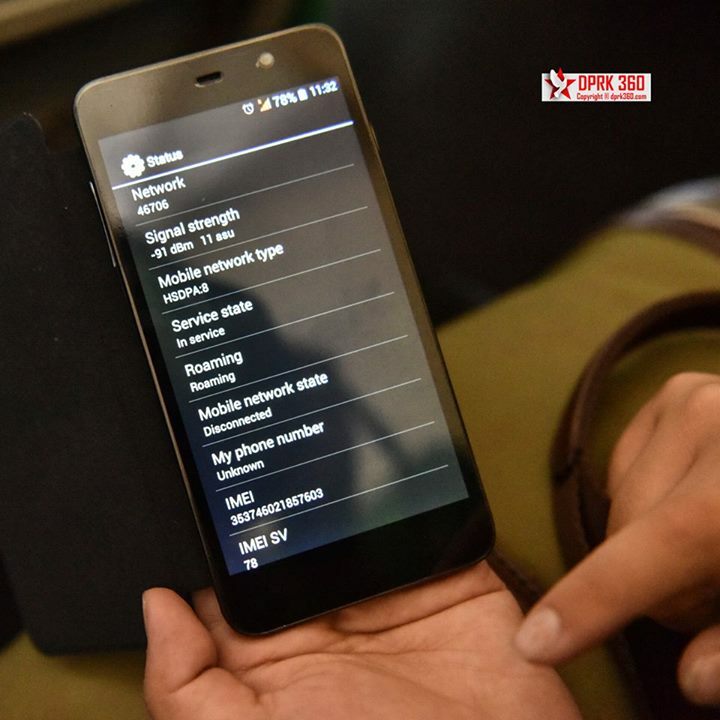 It’s running on “HSDPA:8” technology, which indicates a 3G network capable of running at up to 7.2Mbps. The display also indicates the phone is roaming. The SIM card in the handset was supposedly a local one so it’s unclear why it would show as roaming on the local network. A photo of the inside of the phone reveals dual SIM card slots and a third slot for a micro SD memory card. The phone pictured has a single Koryolink SIM card inserted. Dual-SIM phones are popular in other countries because they allow for two phone numbers to be used from a single phone, sometimes to reduce the cost of calls or sometimes to run numbers from two countries on a single device. An obvious question with any North Korean electronics product like this is where does the phone come from? When North Korean media reports such new phones, tablet PCs or other electronic gizmos, it usually claims that they are domestically made but that is usually not the case. 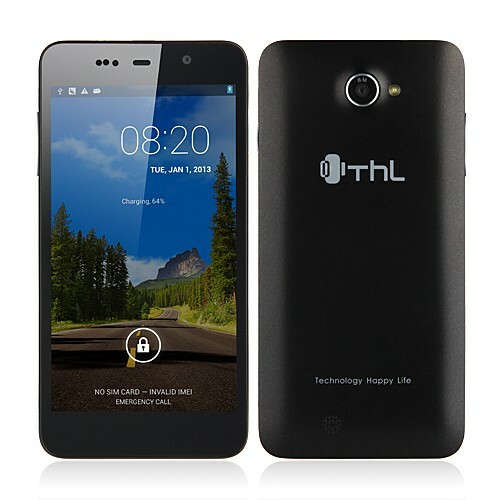 Here’s the inside view of the THL W200. Note not just the general similarity but the specific details such as location of screws, lugs for the rear plastic cover and grill holes in the bottom of the phone. And here’s the W200 from the front. An immediate difference is the three small holes on the upper left of the phone’s face, adjacent to the earpiece. They don’t appear to be present on the photos of the new Arirang smartphone, so it’s possible the Arirang is a slightly different model or perhaps is missing a few features in the W200. 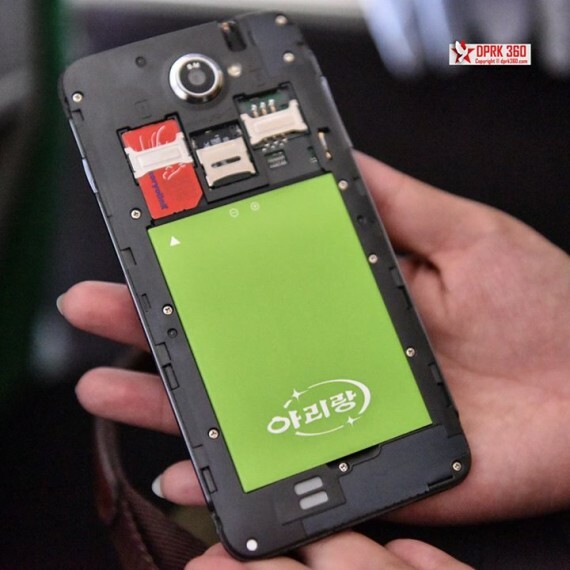 2 Comments on "New Arirang smartphone caught on camera"
IMO, the holes on the front are the proximity and light sensors. They are usually not very visible, especially under certain light conditions. So they still might be present on the arirang. Wow, can’t believe that they use Android!